OETA strives to present locally-produced television programming that reflects Oklahoma’s history and culture. OETA’s greenlight committee, made up of OETA employees from all television departments, evaluates incoming projects, ensuring they meet content and quality standards. Proposals may be submitted at any time throughout the year. OETA does not have funding set aside for the costs of outside productions, but we can advise you on obtaining sponsorship and crediting your sponsors within your program. Each project is judged on many criteria, including whether the content supports OETA’s focus on programming that discovers, reflects, and brings to life the essence of Oklahoma. We desire programming that nurtures our commitment to education, news and public affairs, the arts and our culture. The committee judges each project on its technical quality in regards to photography, sound, lighting and editing. The credentials of the production team and the needs of the programming schedule are also considered when reviewing a submission. Completed programs must be as close to 27:45 or 57:45 in length as possible to be considered for broadcast on OETA-HD or OETA OKLA. Other projects may be considered for digital distribution using OETA’s digital platform. If the project is accepted by the greenlight committee, deadlines will be determined and a strategy for facilitating broadcast of the program will be set. Submissions may also be considered for digital distribution only. OETA’s digital distribution is through PBS’ online video portal and makes content available online and through PBS apps on streaming devices. The program proposal form must be completed through our program proposal form and a screener (either electronic, online or DVD) must be submitted. The program proposal form is available at the bottom of this page. Master copies must be delivered with captioning on a broadcast quality tape or via FTP with prior approval. Will OETA finance my project? As much we would like to have funds set aside for outside producers, we do not have that at this time. Most productions are self-funded. The producers have paid all of the expenses themselves, they have gotten help from family and friends, or they have secured underwriting and sponsorships with businesses and charities through their own hard work. Should I wait to submit a program once it has been completed or should I contact OETA when it’s in the early stage of production? Our program proposal form gives you two options for submission – in progress/pitch or completed. DO NOT use the completed form unless you are able to provide detailed technical information. We will not promote a program to be on OETA until we’ve seen the final master version. The screener submitted with the program proposal form can be a rough draft of a pilot if your project is in its early stages or the completed program if you have finished production. To see a list of required information for each option, click here. What are your technical specifications for submissions? Submissions must follow these guidelines: A length of 27:45 or 57:45; 1080i format, 2-channel stereo (at least), no mono mix or single channel audio and captioning in 608/708. Specifications regarding packaging and delivery will be provided after a program is approved for broadcast. What are the FCC’s closed captioning requirements for my submission? Accurate: Captions must match the spoken words in the dialogue and convey background noises and other sounds to the fullest extent possible. Synchronous: Captions must coincide with their corresponding spoken words and sounds to the greatest extent possible and must be displayed on the screen at a speed that can be read by viewers. Complete: Captions must run from the beginning to the end of the program to the fullest extent possible. Properly Placed: Captions should not block other important visual content on the screen, overlap one another or run off the edge of the video screen. Are there any restrictions on commercialization and product placement? Public television program are funded by supporters, not advertisers. Appreciation can be recognized with underwriting credits attached to the program. No product placement is allowed within a program and promotional language about a product, company or service will cause the program to be denied airtime. Will my program have national distribution? This is determined on a case by case basis. First and foremost OETA serves viewers across the state of Oklahoma. That is our focus. We do have ways of making shows available to other markets outside of Oklahoma, but not every program will be suitable for distribution. Also, the choice of whether to air the program in another market is entirely up to the public television station in that market. OETA does not have any power over their programming decisions. National distribution also comes with producer fees and technical evaluation fees that distributors require to be paid. OETA cannot be responsible for those expenses. Will my program be broadcast on the time and day of my choosing? The time that your program airs is determined by many things, including timeslot availability, the PBS national schedule and various other local programming obligations. It also depends on subject matter of the project. Ultimately, it is up to the discretion of OETA where to place a program. Will OETA provide marketing for my program? Each producer is responsible for any marketing and press campaigns for the project. OETA is under no obligation to promote the project for you. It may be included in select press and digital elements, but the active marketing of the project falls to the producer. 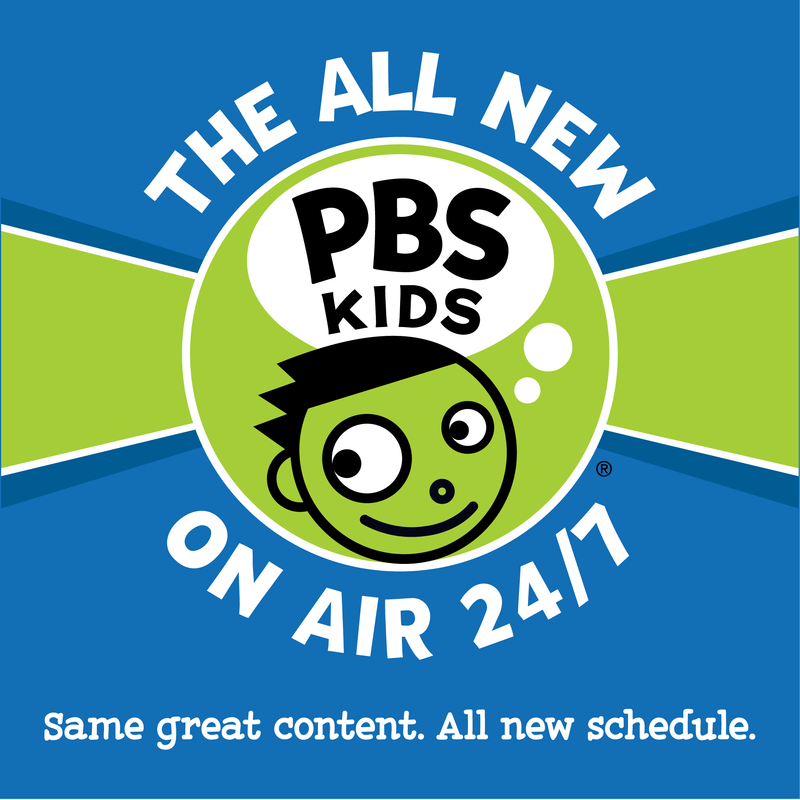 OETA launches 24/7 PBS KIDS channel.